FREE TICKETS TO OUR NEXT NUSIC ACADEMY WORKSHOP HERE. We source resources, contacts plus insights direct from music industry professionals to help you develop as artists. Some of the INSPIRATIONAL TALKS we’ve caught on tape, industry contacts plus recommended reading are all on our Nusic Academy Resources page HERE. We host workshops, seminars & surgeries based around the music industry issues you tell us you find most challenging, featuring the speakers you tell us you want to hear from (and give you the chance to connect with them on the night via our legendary Spread The Love sessions, not as dodgy as they sound!). Our next Nusic Academy Workshop is on March 7th 2019- Theme: Meet the Radio Humans – Full details and free tickets – HERE. Catch the highlights videos from previous Nusic Academy Workshops HERE. – November 2018 – ‘Meet the A&R’s’ – Workshop and Advice Fair – supported by PRS Foundation. – November 2018 – Nusic School Tour with HECTOR LEMANS and SHVVN. – September 2018 – ‘Meet the Journalists‘ – Workshop and Advice Fair – supported by PRS Foundation. – March 2018 – ‘Getting Media Exposure‘ – Workshop and Advice Fair – supported by PRS Foundation, hosted by Confetti’s Industry Week. – Nov 2017 – ‘Spotify – An Artist and Managers Masterclass’ – Workshop and Advice Fair – supported by PRS Foundation. – Jul 2017 – ‘Releasing Music’ – Workshop and Advice Fair, supported by PRS for Music Foundation. – Mar 2017 – ‘Getting Media Exposure For Your Music’ – Workshop and Advice Fair. – Nov 2017 – Nusic School Tour with ROB GREEN and NAT. Supported by Nottingham Music Hub and Nottinghamshire Music Hub. – Nov 2016 – ‘How to Fund Your Music’ Workshop, in association with PRS for Music Foundation. 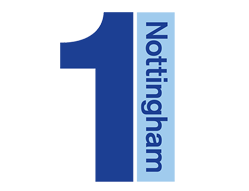 – April 2016 – “Future Sound of Nottingham 2016 Advice” Workshop, in partnership with Nottingham Music Hub and Nottinghamshire Music Hub. – March 2016 – “Getting Media Exposure For Your Music” – Workshop and Advice Fair. – November 2015 – “Getting Those First Breaks” – Workshop and Advice Fair. – November 2014 – “How to Fund Your Music” – More info on our joint Nusic Academy Workshop and Surgeries can be found HERE. – July 2014 – Nusic School Tour with JOEL BAKER and NOAH. – June 2014 – “JAKE BUGG – Lessons Learned From His Success” – More info on that Nusic Academy Workshop HERE. – May 2014 – “Music Finance” surgery. Deets HERE. – March 2014 – “How to get signed (if you want to)” Workshop. More info on that Nusic Academy Workshop HERE. – January 2014 – “Music Law Advice’ surgery”. Deets HERE. – Nov 2013 – Nusic School Tour with GEORIGE ROSE and ASHMORE , supported by New College Nottingham. – October 2013 – “Music Law & Finance – How To Avoid Getting Screwed” Workshop. More info HERE. Watch the highlights vid HERE. – July 2013 – Nusic School Tour with ROB GREEN and BEN HAYNES supported by New College Nottingham. – February 2013 – “How to Get Played on the Radio” Workshop. More info HERE. Highlights video HERE. – October 2012 – “How to Succeed in the Music Industry” Workshop. More info HERE. Watch the Highlights video HERE. – March 2012 – “The Perfect Demo” Workshop. More info HERE. Watch the Highlights video HERE. – October 2011 – “How to Make Money in the Music Industry Workshop. More info HERE. – June 2011 – “How To Build A Fanbase” Workshop. More info HERE. – December 2010 – School Tour (under Notts Unsigned name) with DOG IS DEAD and SKIMAN supported by Trent FM. – October 2010 – “How to get Gigs” Workshop. Watch the Highlights video HERE. – July 2010 – School Tour (under Notts Unsigned name) supported by One Nottingham and DARE. – March 2010 – “How to get Media Exposure” Workshop. Watch the Highlights video HERE. – March 2010 – School Tour (under Notts Unsigned name) supported by One Nottingham. – December 2009 – School Tour (under Notts Unsigned name) supported by One Nottingham. 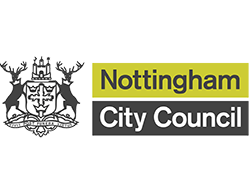 – February 2009 – Future Sound of Nottingham Music Industry Q & A session supported by Nottingham City Council.